On the 2nd (Sun), wander the streets of Old Town and then delve into the distant past at Walls of Dubrovnik. Get ready for a full day of sightseeing on the next day: get engrossed in the history at Rector's Palace, then head off the coast to Dubrovnik Boat Rentals, and then head off the coast to Island of Lokrum. For maps, ratings, more things to do, and tourist information, read Dubrovnik trip planning app . Kolkata (Calcutta), India to Dubrovnik is an approximately 17.5-hour flight. You can also do a combination of flight and bus. Traveling from Kolkata (Calcutta) to Dubrovnik, you'll gain 4 hours due to the time zone difference. Prepare for little chillier weather when traveling from Kolkata (Calcutta) in June: high temperatures in Dubrovnik hover around 30°C and lows are around 21°C. Wrap up your sightseeing on the 3rd (Mon) to allow time to ride a ferry to Korcula Town. Start off your visit on the 4th (Tue): view the masterpieces at Bags by Kristina, enjoy the sand and surf at Vela Przina Beach, and then cast your line with a fishing tour. On the 5th (Wed), you'll have a packed day of sightseeing: steep yourself in history at Korcula Town Walls, then pause for some serene contemplation at St. Mark's Cathedral, then make a trip to Korcula Old City, and finally enjoy the sand and surf at Pupnatska Luca Beach. To find where to stay, maps, other places to visit, and other tourist information, you can read our Korcula Town trip planner . You can ride a ferry from Dubrovnik to Korcula Town in 2 hours. Another option is to do a combination of car and ferry. 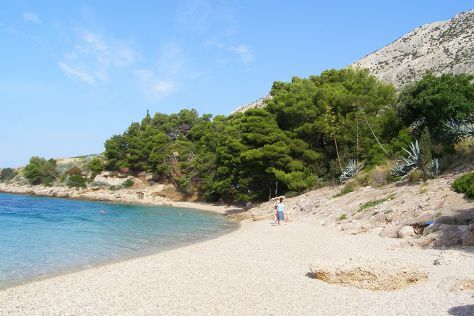 In June in Korcula Town, expect temperatures between 32°C during the day and 22°C at night. Cap off your sightseeing on the 5th (Wed) early enough to catch the ferry to Bol. On the 6th (Thu), kick back and relax at Sumartin Beach and then discover the deep blue sea with a scuba or snorkeling tour. On the 7th (Fri), you'll have a packed day of sightseeing: get to know the fascinating history of Golden horn from above, tour the pleasant surroundings at Zlatni Rat Beach, and then kick back and relax at Murvica Beach. For photos, other places to visit, more things to do, and other tourist information, read Bol online trip itinerary maker . Ride a ferry from Korcula Town to Bol in 2.5 hours. June in Bol sees daily highs of 32°C and lows of 22°C at night. Finish your sightseeing early on the 7th (Fri) to allow enough time to travel to Athens. You'll visit kid-friendly attractions like Acropolis of Athens and Plaka. The adventure continues: take an in-depth tour of Acropolis Museum, take a stroll through Monastiraki, admire the natural beauty at National Garden, and explore and take pictures at Panathenaic Stadium. To find ratings, photos, traveler tips, and more tourist information, go to the Athens trip builder website . Use the Route module to find suitable travel options from Bol to Athens. The time zone difference moving from Central European Time to Eastern European Time is 1 hour. In June, daily temperatures in Athens can reach 35°C, while at night they dip to 24°C. Finish up your sightseeing early on the 10th (Mon) so you can travel to Heraklion. Kick off your visit on the 11th (Tue): meet the residents at Cretaquarium - Thalassocosmos, explore the ancient world of The Palace of Knossos, and then take an in-depth tour of Heraklion Archaeological Museum. To see where to stay, more things to do, maps, and tourist information, refer to the Heraklion trip app . You can do a combination of subway, flight, and bus from Athens to Heraklion in 3 hours. Alternatively, you can ride a ferry. When traveling from Athens in June, plan for a bit cooler days in Heraklion, with highs around 32°C, while nights are about the same with lows around 22°C. Finish your sightseeing early on the 11th (Tue) so you can ride a ferry to Akrotiri. You'll visit kid-friendly attractions like Red Beach and Nature & Wildlife Tours. 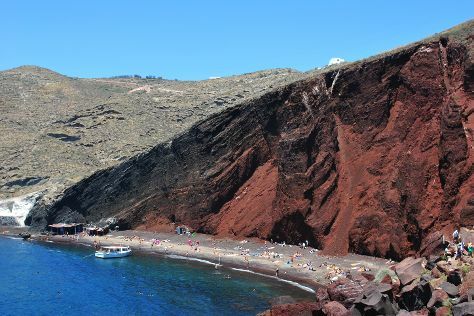 Next up on the itinerary: delve into the distant past at Akrotiri, learn about winemaking at Boutari, J., & Son Wineries S.A., kick back and relax at Caldera Beach, and look for all kinds of wild species at Santo Horse Riding. To see maps, other places to visit, reviews, and other tourist information, refer to the Akrotiri travel planner . Getting from Heraklion to Akrotiri by ferry takes about 2 hours. In June, plan for daily highs up to 32°C, and evening lows to 24°C. Wrap up your sightseeing on the 14th (Fri) to allow time to travel back home.